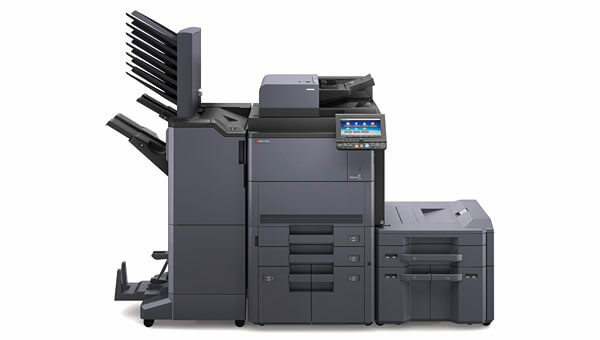 As an authorized dealer for Kyocera, Advanced Office is qualified to sell, lease, and service Kyocera’s complete line of printers and copiers. Kyocera is known for manufacturing award-winning multi-function copiers and printers, and producing some of the best managed document software for streamlining workflow and improving security. With their state-of-the-art products and custom-designed solutions, Advanced Office is able to help businesses throughout Los Angeles, Riverside, San Diego, and Orange County work more effectively and become less wasteful. 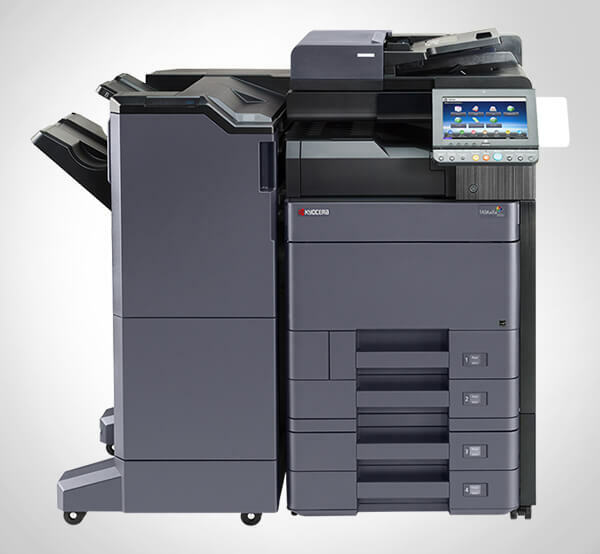 Kyocera’s diverse range of printers and copiers means that they have a model to suit businesses of every size. Whether you are interested in a high-resolution printer with low cost-per-print, or a copier with advanced finishing, copying, scanning, and faxing capabilities, Advanced Office will find the best solution for your needs. In addition, we can incorporate and customize Kyocera’s powerful software in order to allow your business to take full advantage of their workflow management systems. Kyocera multifunction printer (MFP) software can help you capture, store, and retrieve documents, wirelessly print documents from anywhere, manage your network devices locally and remotely; monitor, control, and lower printing costs, and improve security. Call Advanced Office today to schedule a free on-site analysis with one of our consultants. Our team of consultants has an average of more than 15 years of experience and is highly knowledgeable in Kyocera’s product line and software capabilities. We have several local offices throughout Southern California, making it easy for us to support businesses throughout Los Angeles, San Diego, Orange County, and the Inland Empire. Your professionalism and prompt reply made our selection for our new copy machines an easy process.